Every couple wants their wedding to be meaningful to both them and their families, but how can you actually achieve that? The answer for us at Night and Daye Events is always in the details. Your wedding decor can just be there for aesthetic, or it can be both beautiful and personalized! We’ve included some experiences from our past weddings and some tips to make sure that your wedding decor has meaning. 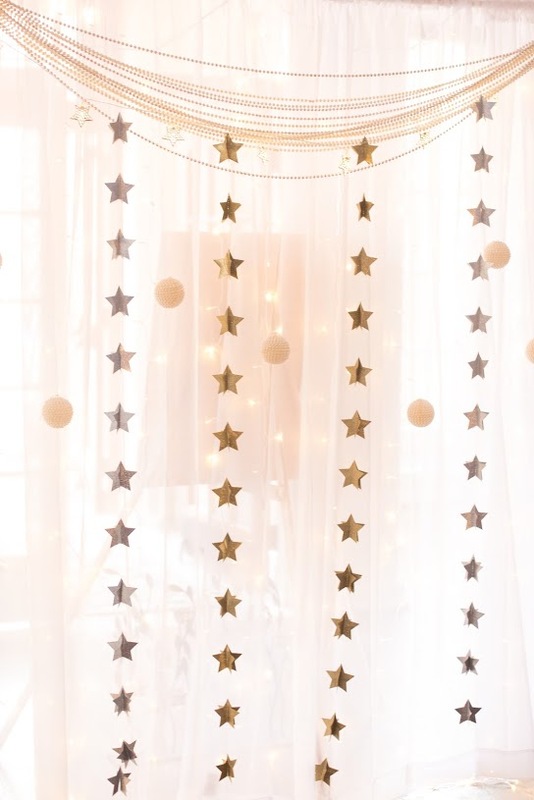 For her Historic Post Office wedding, Kayla hung her grandmother’s ornaments on her celestial backdrop to add meaning to her themed ceremony. These family heirlooms both are something old to pay tribute to her family and contribute effortlessly to her celestial theme. Before you or your planner start buying decor for your wedding, think back to your childhood or ask your family what they might have for you display on your big day! If there is anyone from your family that might have passed before your wedding day, paying tribute to them on your day can be meaningful to you, your family, and the rest of your guests. For Korey and Graham’s Williamsburg wedding, I made bird shadow boxes to match their bird house centerpieces inspired by Graham’s bird-watching hobby! Pick a passion of yours, possibly a hobby that you both have, and incorporate it into your wedding decor. Those mutual memories are part of your love story, so make sure that they are present on your big day. Those thoughtful details make your wedding intimate, authentic, and more meaningful to everyone present on your wedding day. For my wedding, our (well, my ;p) personality was everywhere! From our watercolor invitation suite to our ship guest book to the signature drinks named after our pups. We also included thistle and a hand fasting ceremony based in Scottish tradition, because you know, I am a McDougall now! One of my favorite decor pieces was probably one of the most overlooked by my guests, but the most important to us. Our first date was at a local seafood restaurant. That restaurant actually supplied oyster shells for our place settings! Our main goal when planing a wedding is getting to know what makes you unique as a couple. What exactly sets you apart from our other couples? We take those details and combine them with your vision to make sure that your decor isn’t just for looks, its telling your unique love story. Contact us today to brainstorm how to make your wedding decor more than just another centerpiece.